Do Brexit, the election win of Donald Trump, the growing aversion to one Europe and further internationalization mean that the globalization wave is coming to an end? Is globalization on the decline after years of growth? Are local energy generating, local food growing and consuming the new trend? 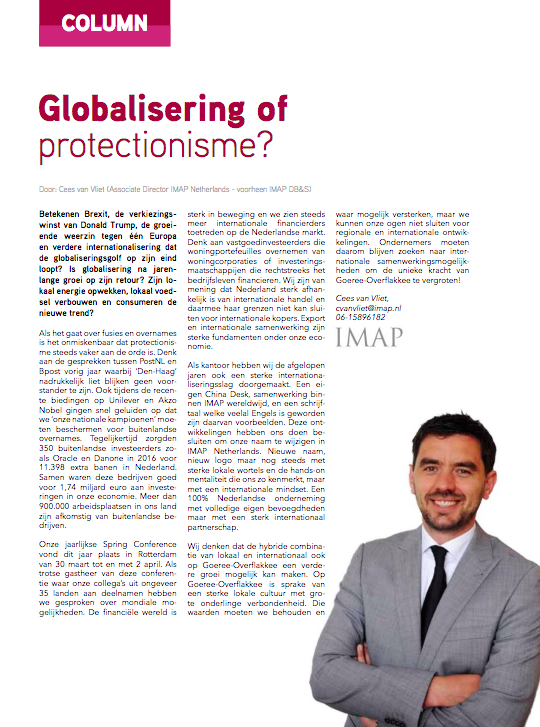 Our Associate Director Cees van Vliet wrote a column about globalization and protectionism in VBGO island news.